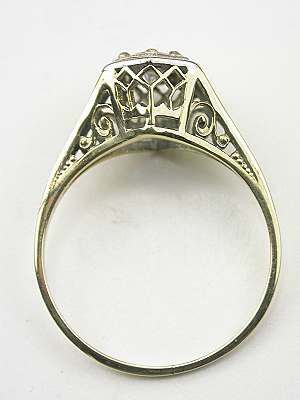 Intriguing cutwork and a two-tone mounting set this 1920s antique diamond filigree engagement ring apart. 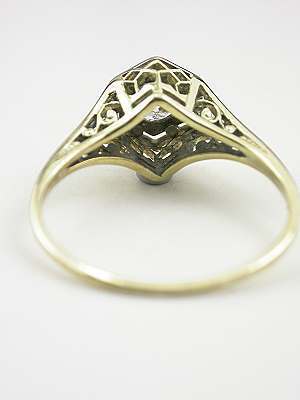 The 18k yellow gold band of this antique ring is topped with a hexagonal 18k white gold top. 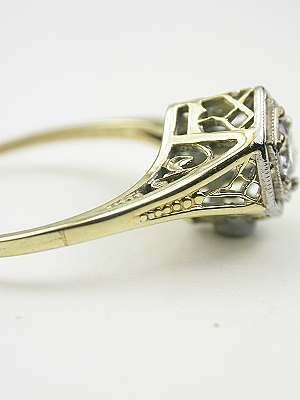 Pierced coronets and scroll work highlight the band. 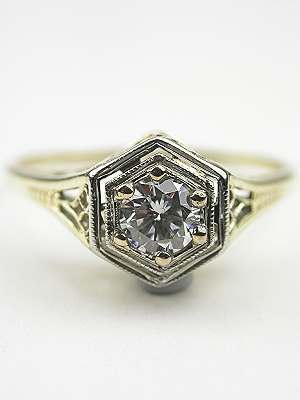 Inside the hexagonal top setting is a round brilliant cut diamond. This diamond centerpiece weighs 0.25 carats. 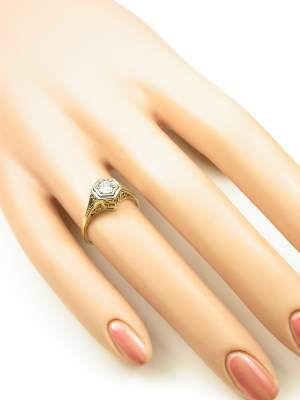 This antique engagement ring is circa 1920. 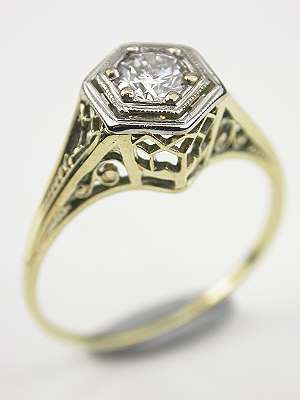 Special characteristics A round brilliant cut diamond is bead set into an 18k white gold filigree mounting with a hexagonal top plate.